This was written in order to help people understand why real estate agents (specifically Buyer's Agents) are valuable for people to hire when they are buying real estate. Experienced real estate agents are valuable because they have negotiation expertise and market knowledge that they apply to your specific purchase in order to benefit you. They understand the market trends and the delicate negotiation process involved in purchasing a home. They understand what things are acceptable and what things are off-limits in the process. An experienced agent working as your buyer's agent will use all of his/her expertise and knowledge (outlined below) to work on your behalf and to make sure that your best interests are met at every step of the process. - Understands the components that contribute to property value. Experienced real estate agents are oftentimes more qualified to establish a property's value than appraisers, because the real estate agent that sold a particular home has usually also been inside the home(s) that an appraiser would use as comparables in determining value. Appraisers drive by, while agents have often been inside. - Understands and can identify functional deficiencies in a property. Real estate agents know what features and floor plans are desirable or undesirable to the the majority of buyers and are able to identify those things that make a home easier or more difficult to resell someday. 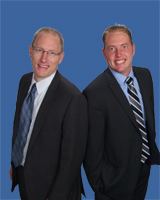 - Has experience with local title companies. Real estate agents have experience with local title companies and know which ones are going to give the best service and which ones are most able to service claims and title disputes. - Has relationships with mortgage lenders who can process loans properly and quickly. - Understands the ramifications of different lending options as well as contingent offers and how they affect the likelihood of closing. - Can identify home fixtures and additional items included in a sale that will not be acceptable to buyer's lender financing. - Understands the effects of liens on a property and how to possibly leverage those liens to a buyer's advantage. - Understands how property taxes will change after the sale of a property. - Understands local municipality requirements for well and septic systems and can advise a buyer appropriately. - Understands procedures and buyer's rights with regard to property inspections. - Understands the risks and benefits of obtaining a boundary survey, a surveyor's report, or not obtaining a survey at all. - Understands the hidden risks of property possession by a seller after closing and can provide best recommendations to minimize that risk. - Understands the Earnest Money Deposit and the conditions in which a buyer forfiets deposit. - Understands reasonable closing timelines and the proper and complete process in assisting a property sale from Purchase Agreement to Closing. These items alone on a $150K home could add up to $25,500 dollars. So you ask, "What does it cost me to hire my own buyer's agent?" ….NOTHING!…Sellers pay commissions. For a home that is listed with a Real Estate Broker, the seller agrees to pay the listing agent 6% or 7% (or whatever commission they agree to). For our example, let's say it's 6%. The listing agent then offers to pay half of that commission (3%) to any buyer's agent who brings a willing, able, and ready buyer. So as a buyer, it costs you nothing extra to hire your own buyers agent, and on a $150K home purchase you could potentially gain (or not lose) $25,500 by way of negotiations and avoidable pitfalls. If you would call the listing agent directly on that property and work directly with him/her to purchase the property, that listing agent has a fiduciary responsibility to his/her seller, and is obligated to serve their seller's best interests at any and all points in the transaction. So when you decide to call the listing agent on a particular property, you might think that you have a better chance of purchasing the property (since the listing agent will make a "double commission") and that he is motivated to sell it to you, but just realize that you are then responsible for making sure all of the things outlined above are in your favor. That listing agent is looking out for his/her seller's interests first of all. The listing agent is supposed to treat you as a buyer fairly and honestly, but they are "biased" to their seller's interests. When you hire your own buyers agent, it's his/her job to help you buy the right home at the right price with the right resale potential and to make sure everything is done to get the deal to the closing table with the least amount of problems.